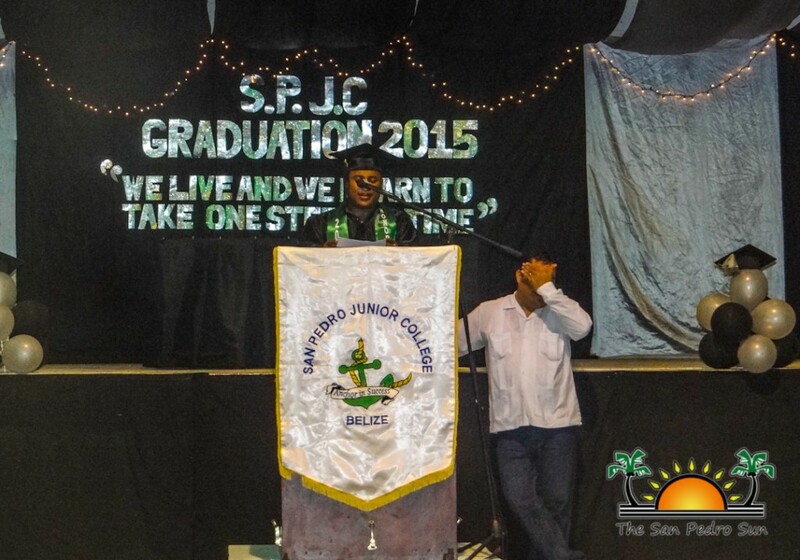 The San Pedro Junior College (SPJC) held its 14th Commencement Exercise on the evening of Saturday, July 4th at the Rafael Angel Nunez Auditorium. 37 proud students celebrated achieving an Associate’s Degree before a host of family and friends. Not only did SPJC graduate its largest class, but the ceremony also marked its 15th year in operation. Held under the team “We live and we learn to take one step at a time”, the graduation ceremony kicked off shortly after 5PM, with the students marching up the aisle to the tune of Pomp and Circumstance. 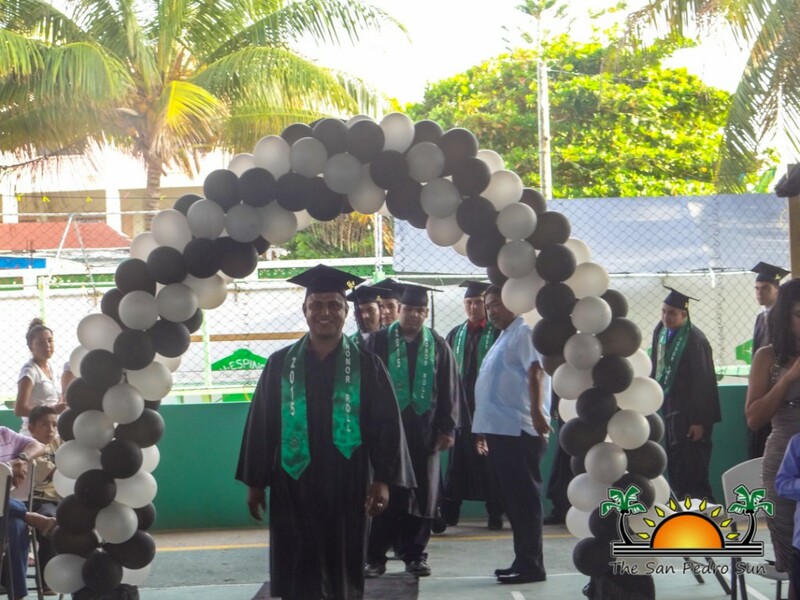 Abel Guerrero Sr. led those in attendance in a heartfelt invocation, which was followed by the Welcome Address given by class salutatorian Magdiel Shaw. Guest speaker for the event was none other than Mayor of San Pedro Town Daniel Guerrero. Following the Dean’s report by Gustavo Ellis, Honor Roll awards were issued. Jose Paz delivered the Chairman’s Address’ which was followed by the Valedictory Address by highest grading student, Oumaya Nasser. 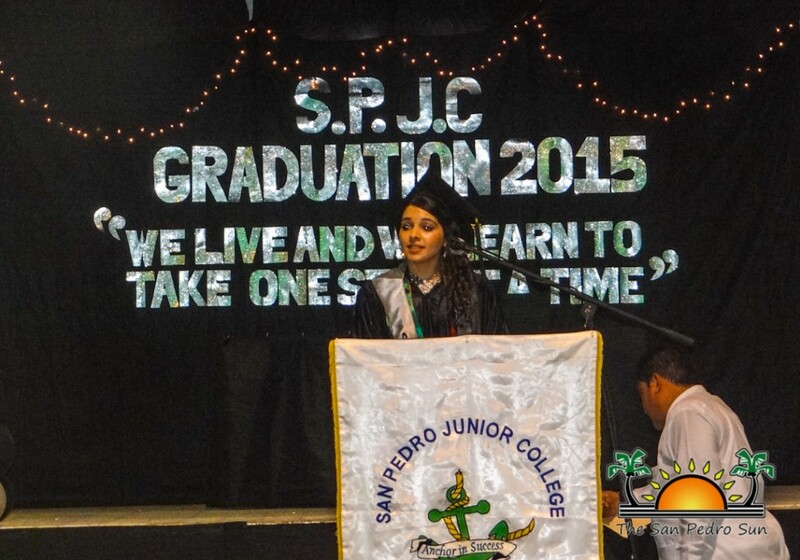 Diplomas were then distributed by SPJC Graduation Class of 2015 Patrons Mr. and Mrs. Myron Polis. 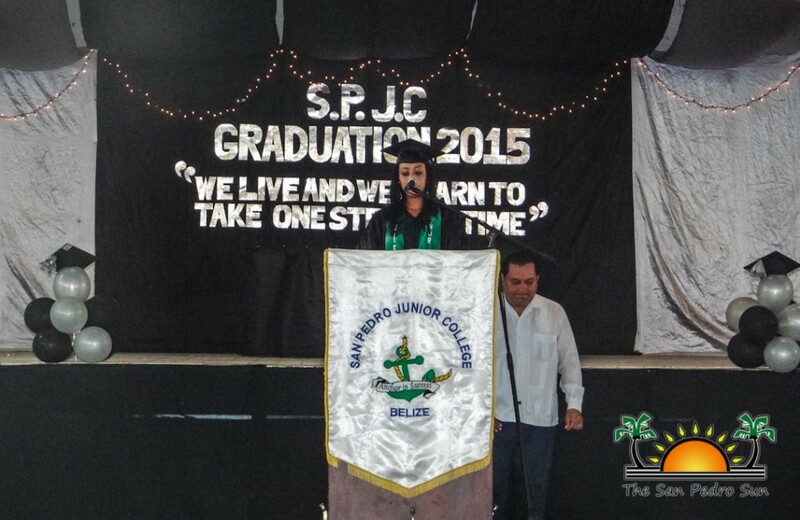 Arian Paz gave a class reflection before joining her fellow students in the singing of their theme song “One Step at a Time” by Jordin Sparks. Closing the ceremony was Egbert Dennis Craft, who delivered the Vote of Thanks. Business Administration Majoring in Accounting: Magdiel Shaw, Tacio Badillo, Kleiner Ramirez, Misael Chan, Arian Paz, Jose Castellanos, Lupita Sutherland, and Adia Tillett. 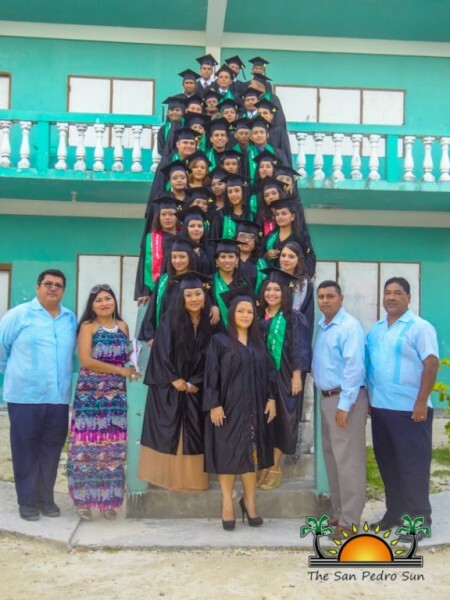 Business Management: Juan Ventura, Tiffanay Rivero, Gabriel Chan, Henry Salgero, Esvin Leiva, Janelly Caliz, Maedie Ical, Oumaya Nasser, Egbert Dennis Craft, Odalie Duran, Seleni Perez, Juanita Gibson, Aldair Sadacey, Kirian Vasquez, Jeimi Diaz, Shainy Oliva, Luwesa Parchue, Marisa Leal, and Flor De Maria Gonzalez. Tourism Management: Georginia Cadle, Joyce Moh, Arri Guardado, Shamara Robateau, Richard Acosta, Lupita Acosta, Erick Hernandez, Alonzo Rivero, Martha Casanova, Demor Valladarez, and Luis Pinelo. Closing off the 2015 graduation season was San Pedro Preschool, who held their ceremonies on Sunday, July 5th. 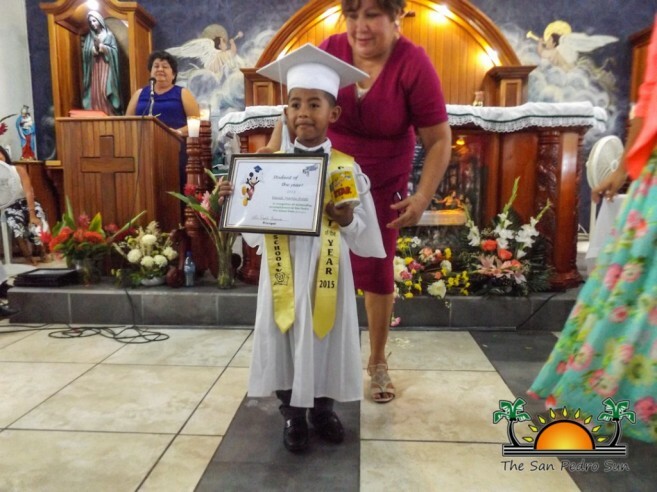 The 49 graduating cuties were honored at a traditional mass service at the San Pedro Roman Catholic Church. 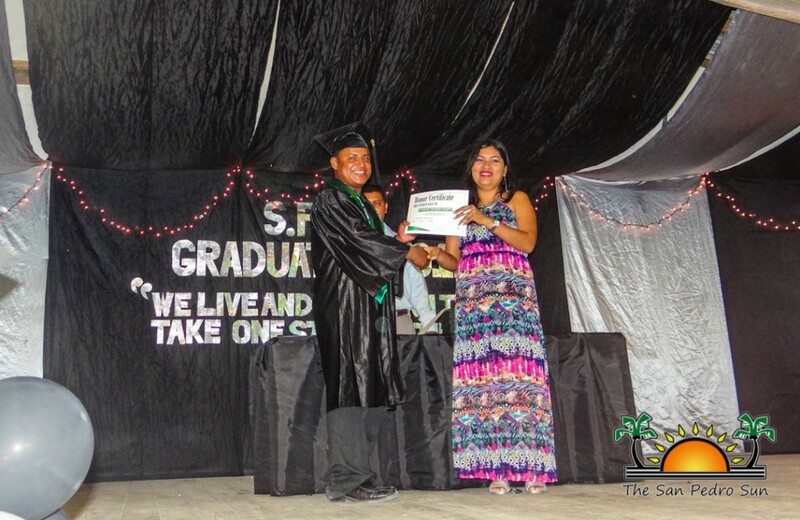 When the time came for the distribution of diplomas, the students happily and proudly marched up to receive their diploma from school Principal Rosela Guerrero. The former preschoolers are now ready to advance to their Primary School journey. 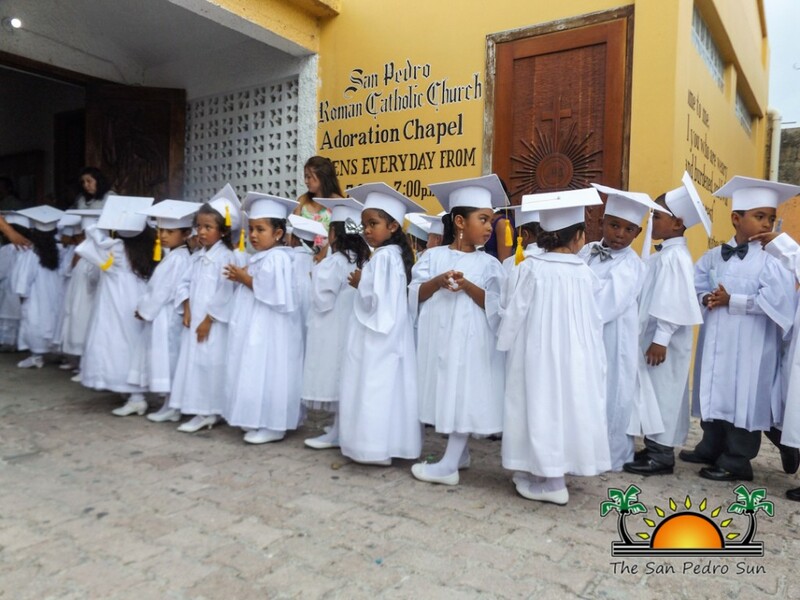 San Pedro Preschool Class of 2015 comprised of: Alythia Audrina Williams, Kaesylynn Leanne Martinez, Sayani Yalina Cob, Linzy Danica Alegria, Amy Stephania Rendon, Amariany Hadasa Lopez, Leannie Nicole Albeno, Jennia Jazmin Castellanos, Audrey Campos, Helen Ivania Najarro, Zoany Teresita Diaz, Joyceylyn Terese Lima, Evelyn Abigail Riverol, Arianny Orlinda Nunez, Nicolette Faith Hoare, Valeria Michelle Miron, Miriam Nayelli Alamilla, Kayjiah Ayana Samuels, Helen Keida Choco, Aliannie Aleesha Arana, Daylen Briannie Rosalez, Kaylyn Janini Toledano, Danielle Adriannie Valencia, Iris Giannie Chi, Marvin Narciso Valdez, Jordan Manuel Paul Baki, Ferney Augusto Lima, Brian Zhen, Joseph Demaio, Darwin Zahid Sabido, Derek Yahir Nunez, Julius Aron Nunez, Jorge Aaron Cardenas, Jason David Miller, Franklin David Cano, Eymar Cano Jr., Camrom Camar Lino, Daniel Marin Estell, Julian Gustavo Cisne, Alex Fernando Bodden, Richard Alberto Noralez, Idalio Alexis Narvallez, Xavi Juriel Caseres, Devaun Edwardo Garbutt, Henry Emmanuel Garrido, Victor Emmanuel Barbosa, Ivan Justin Guemez, Dylan Roman Mesh, and John Albert Henry.